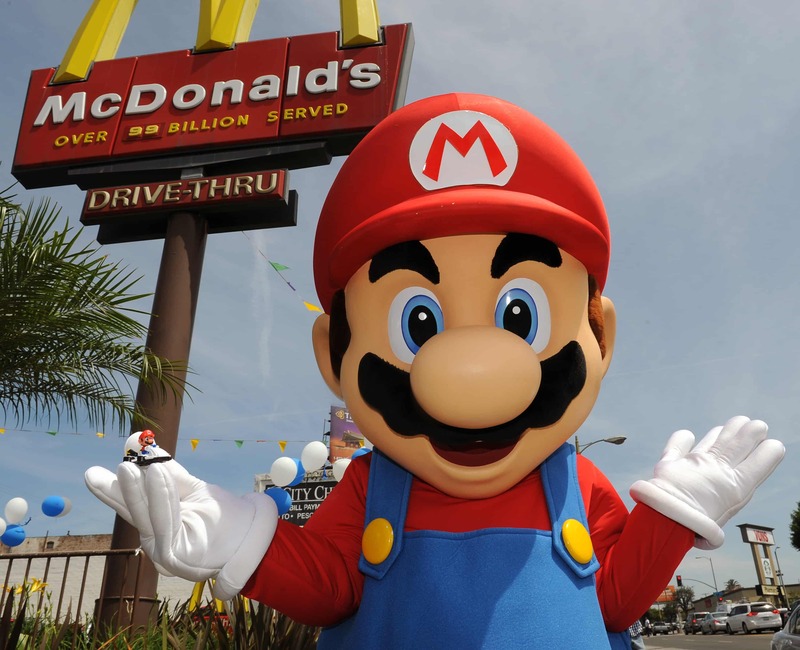 Nintendo of America have enlisted their Mushroom Kingdom icons to help promote the Mario Kart 8 themed Happy Meal toys that are currently available at McDonald’s. 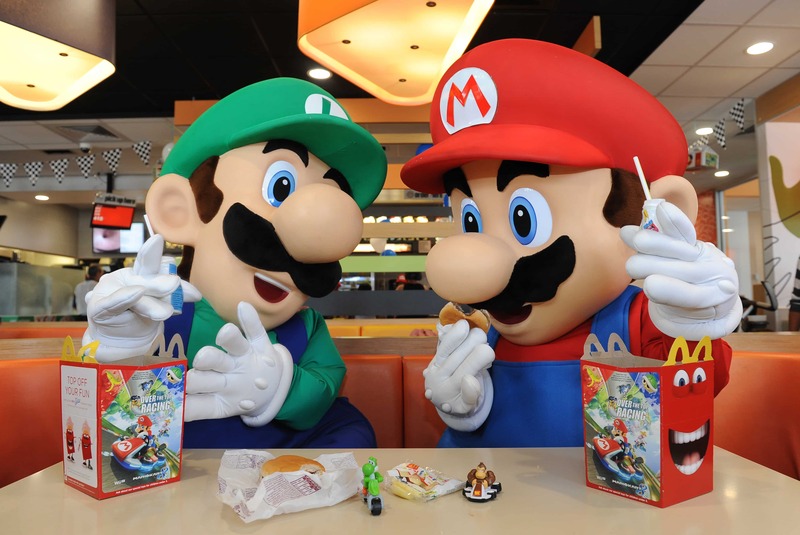 As you’ll see within the photos below, Mario and Luigi proved themselves the perfect hosts at a McDonald’s restaurant in Los Angeles. 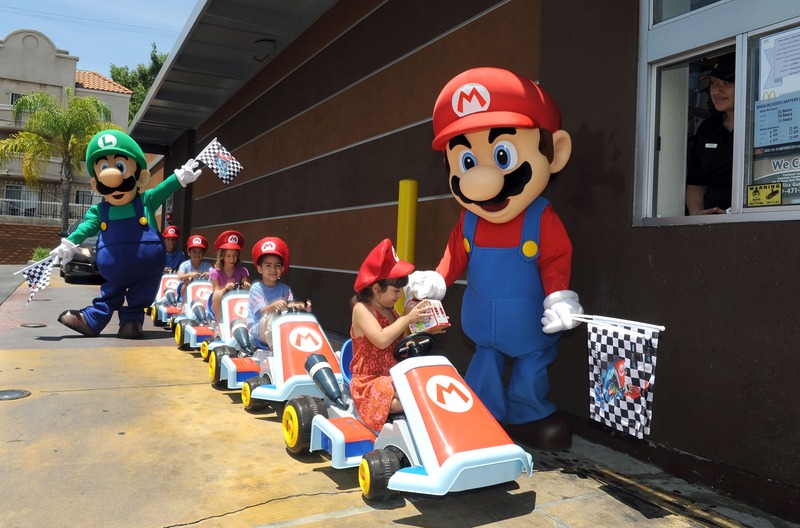 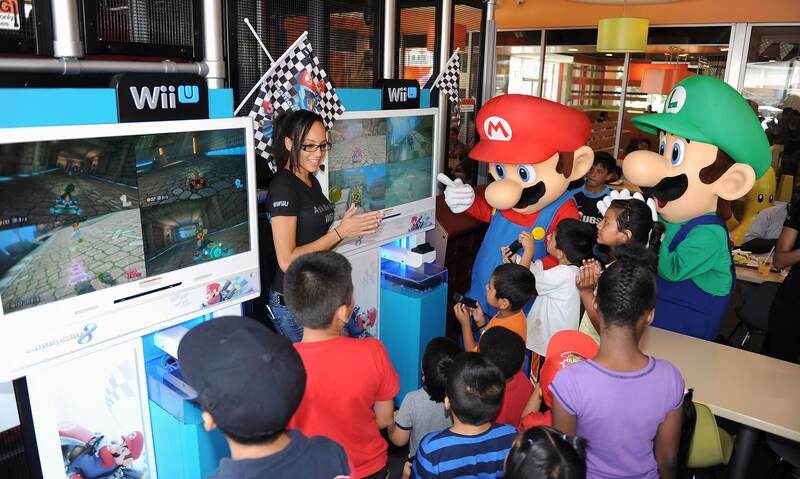 Helping to guide children on Mario Kart Ride On vehicles, they then headed inside to grab their own Happy Meal and enjoy competing against one another on Wii U exclusive Mario Kart 8. 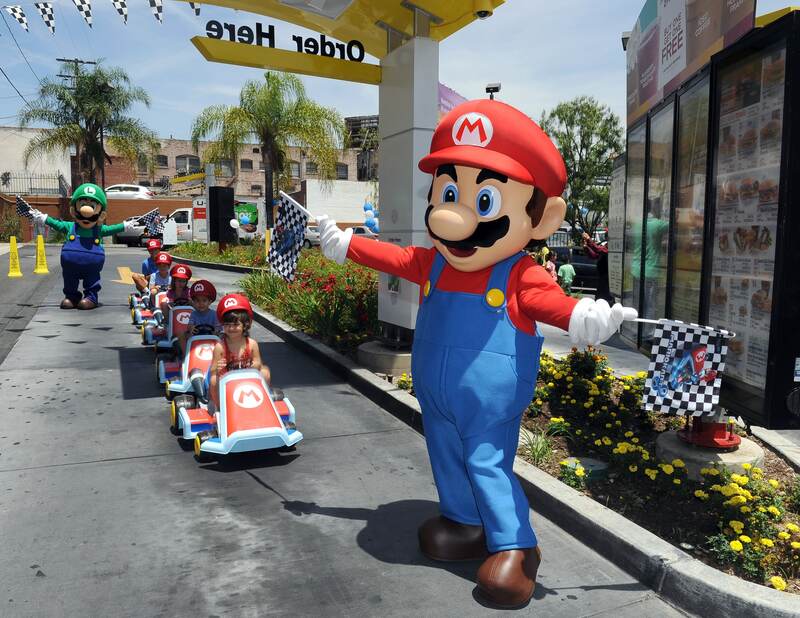 The Mario Kart 8 toys became available at McDonald’s on July 4th, with the promotion continuing until July 31st for those keen not to miss out!